I was interested to see the article about Lomaxes, of which I’ve owned three, in the last issue. 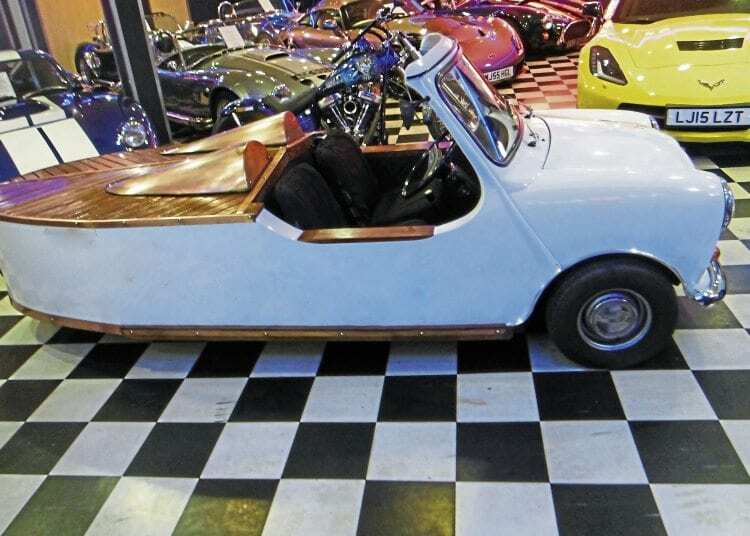 Are they a motorcycle, and if so, is my similarly converted but somewhat nippier ‘Tritanic’ Mini three-wheeler? B180 CGF started life as a 1985 998cc Austin Mini that was acquired by Anthony Anchors of Newbury. He built the stern section out of English oak with copper fittings, and modified it to a tricycle layout. Do not attempt to float this vehicle! The Tritanic Mini three-wheeler is aptly named. This builder has constructed several other unique bodies on Mini bases, including a miniature double-decker bus! In 2009 the Tritanic was bought by a classic sports car dealer in Hampshire who intended to use it as a display feature for the showroom roof, but fortunately it was discovered that the roof wasn’t up to the job before the vehicle got there. After it had languished for several years, a major overhaul costing around £2000 was undertaken last year, resulting in the grant of an MoT with no advisories on April 27. Read more in February’s issue of OBM – on sale February now! Next Post:So much for the Royal Enfield GP5 being a failure!